The subject of glory fills the pages of the Bible yet few people can explain what it is. Glory is not simply another attribute of God; it is the sum total of all His attributes. Everything about God is glorious. Because God is full of glory, His glory becomes evident when He is present. Some people use the Hebrew word shekinah to speak of God’s glorious presence. If we seek God, we will experience His glory, but our priority should be His presence. Beware counterfeits—there is no such thing as glory without presence. What does it mean to “ascribe to the LORD the glory due to His name” (Ps. 29:2)? In what sense will His “glorious name be blessed and exalted above all blessing and praise” (Neh. 9:5)? How can we live “to the praise of His glory” (Eph. 1:6, 12)? Of course, one simple answer to all the questions about glorifying God is worship. It is implied in the instruction to, “Sing the glory of His name,” and, “make His praise glorious” (Ps. 66:1-4, see also Ps. 72:18-19; 79:9). When the Bible speaks of His “name” it means everything about God, His whole nature and how He expresses that nature in His actions and words. The individual names of God point to aspects of who God is, but everything about God is glorious; it is excellent and worthy of praise. The rainbow illustrates God’s glory and His names–each band of color is glorious as well as the rainbow as a whole. Some people struggle with the idea of worshiping God; wouldn’t He have to be a megalomaniac to demand worship? But, as David Platt observes, “Whom else would we have him exalt? At the very moment God exalted someone or something else, he would no longer be the great God worthy of all glory in the universe, which he is.”1 By definition, the God of glory is the epitome of all that is excellent. Lacking no desirable quality He is entirely worthy of worship. His “demand” for us to worship Him is in essence a call to recognize the truth that, in every aspect of His being, He is glorious. Not only that, but worship is good for us. Going against the grain of truth upsets our inner harmony; aligning our lives with truth is freeing. Since God is His own best gift to us, then we benefit from worshiping Him. The apostle John saw heaven glorifying God through worship.2 The heavenly beings declared His worth in several ways. God is worthy because He lives forever, because He created all things, and because Jesus died to redeem men from every nation. We talk of “magnifying” the name of God.3 A magnifying lens enlarges details but also seems to bring distant objects nearer. Our magnification of the Lord should do the same, increasing our awareness of the finer points of His glory and bringing us closer to Him. Now, worship is much more than singing words that state truths about God. The Bible mentions several ways in which we can glorify God. Together they describe a lifestyle of worship. Bearing fruit for Him results in His glory.5 That could include our positive impact on other people as well as the fruit of the Spirit in our own lives. God receives glory when we receive answers to prayers. Jesus promised, “Whatever you ask in My name, that will I do, so that the Father may be glorified in the Son. If you ask Me anything in My name, I will do it” (John 14:13-14). 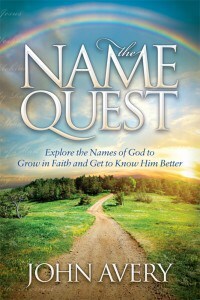 Praying “in My name” means asking for outcomes that are consistent with the character, nature, and will of God. The Father of glory grants such requests precisely because they highlight Him. When we experience God’s glory in His grace to us, we return glory to Him.9The adoption initiates a process of growing more like Him. On the other hand, not knowing God results in separation from “the Lord and from the glory of His power” (2 Thess. 1:8-9).